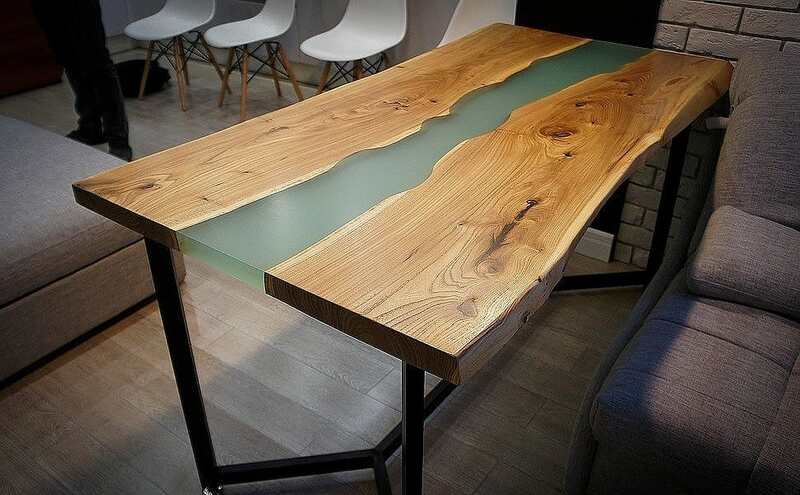 Selection of photos of wooden tables with epoxy resin. 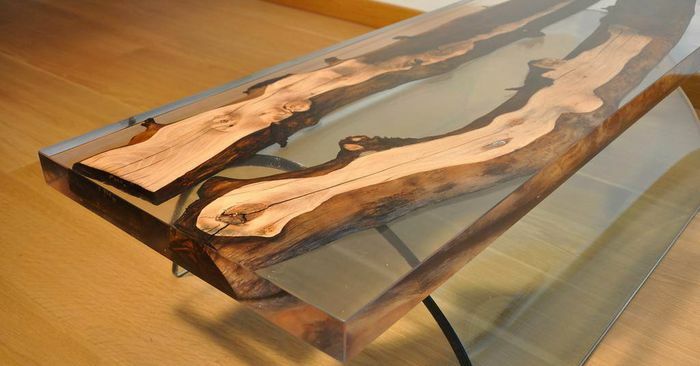 Videos as make tables with epoxy resin. 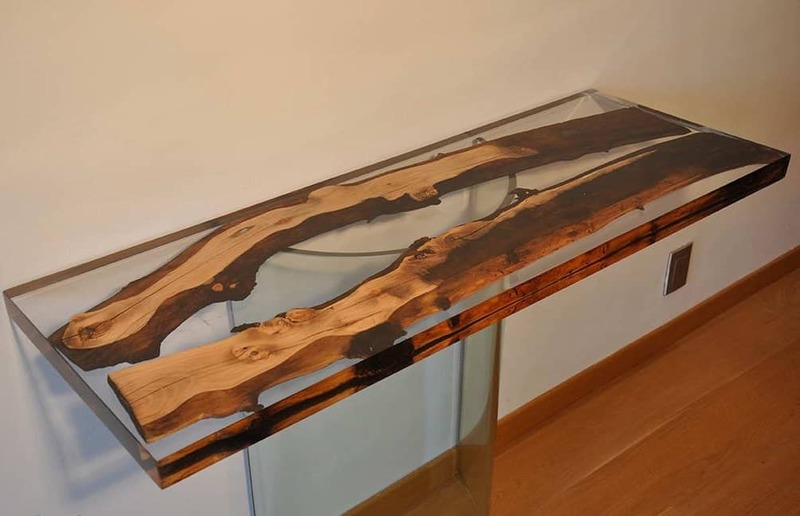 Full information on wooden tables with an insert from epoxy resin. You can order production of table-tops from oak wood right now. We will provide you detailed information and we will show us the catalog of production. 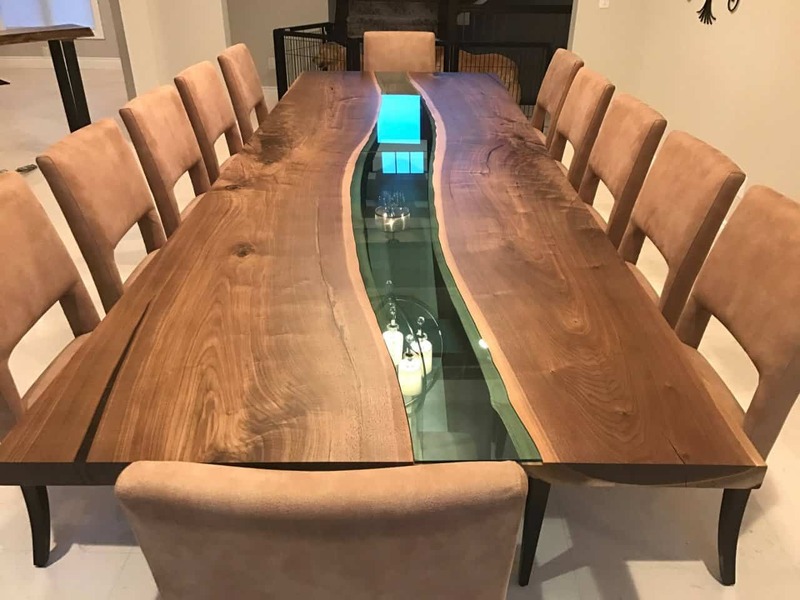 How do make table-tops with filling of epoxy resin? 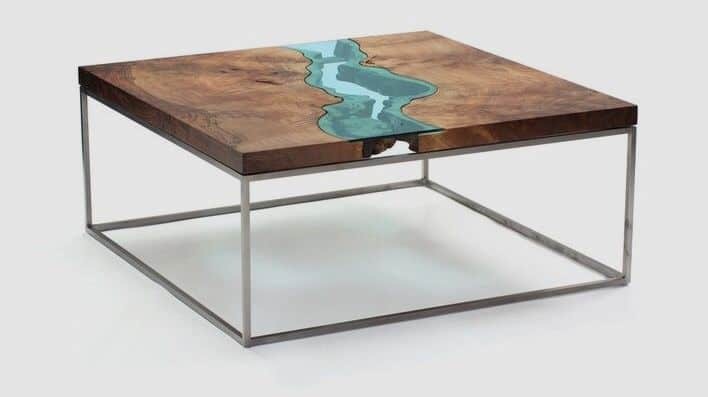 Usually the table-top with epoxy resin consists of two half of wood, they are connected by epoxy resin or glass from acrylic. 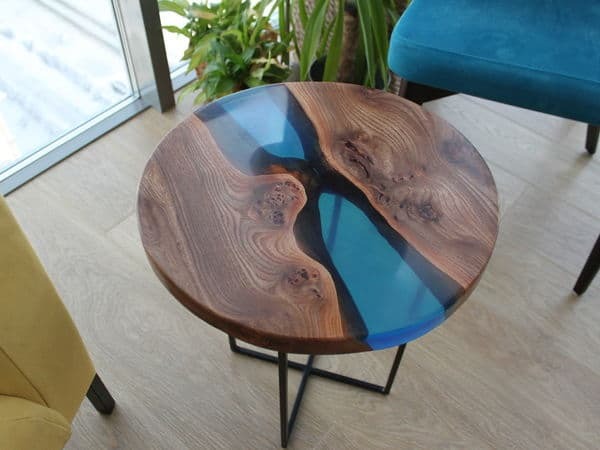 Epoxy resin can be any color, epoxy resin of blue or blue color beautifully looks. At the first stage prepare wood, for this purpose take two half of a table-top and carefully process junctions. Edges have to be processed by the abrasive tool, they have to be clean and dry. 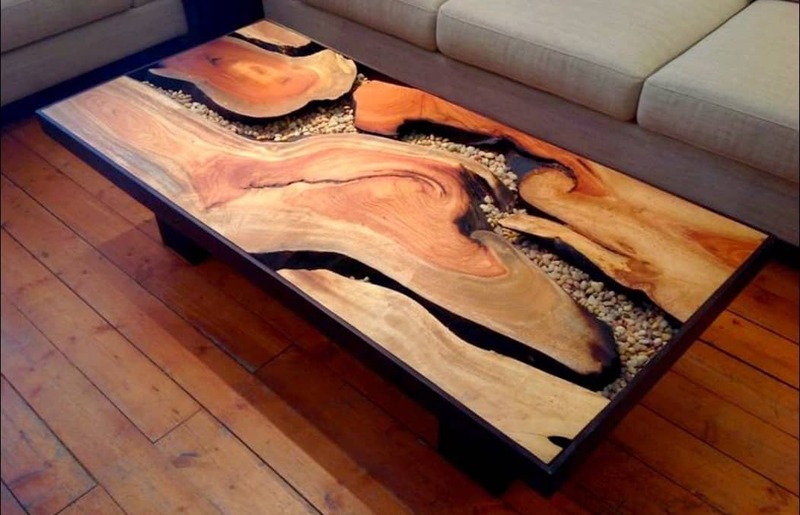 It is possible to use all types of wood, but the most popular grades of wood is an oak, an ash-tree, nut, a beech. Second stage of preparation of a table-top. 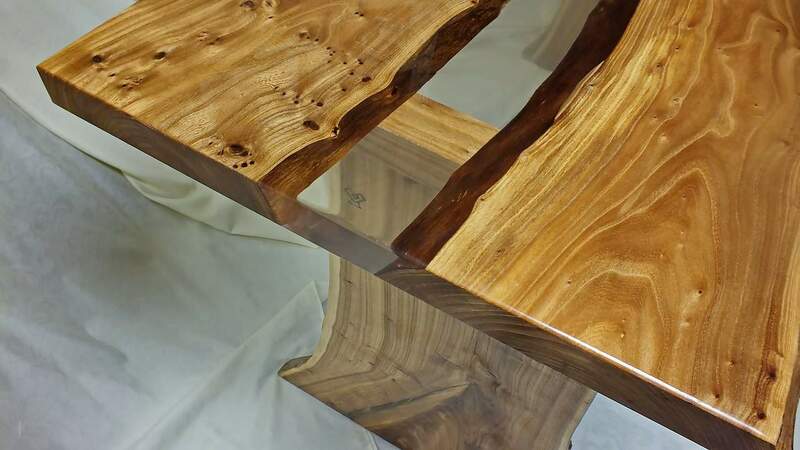 It is necessary to make a form on which two half of a table-top before filling in with epoxy resin will fasten. 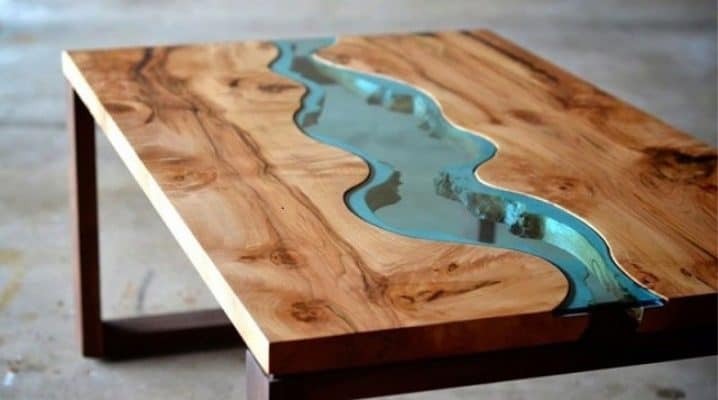 The lower part of a table-top in the place where will pour out epoxy resin has to be from polyethylene or an adhesive tape. 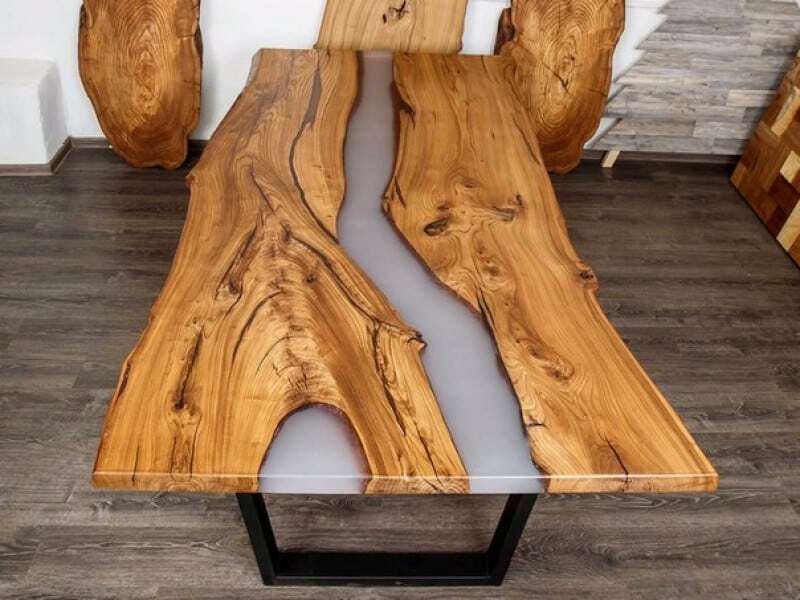 If to use plastic or wood in order that epoxy resin did not pour out after it stiffens plastic or a tree it will be impossible to disconnect from a table-top. 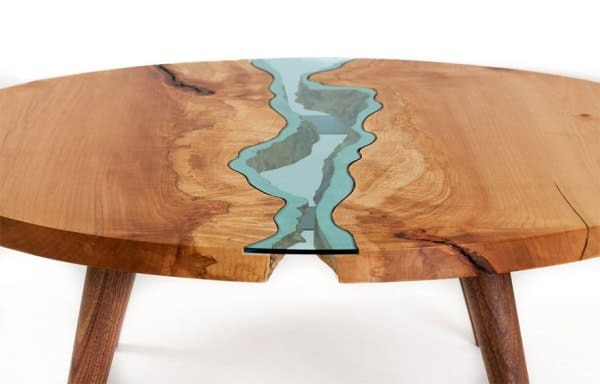 What epoxy resin needs to be used and how to prepare it? You need two-component epoxy resin, the first component – pitch, the second component – hardener for pitch. Epoxy resin has to be quality and has to be intended for the big area. It is not necessary to choose the cheapest epoxy resin. Before preparing epoxy resin and to mix it with hardener you can give the necessary color to pitch. In an initial state it will be transparent, but if you add a little dye color will exchange. It is necessary to mix components strictly according to the instruction which has to be upon purchase of epoxy resin. You need two-component epoxy resin, the first component – pitch, the second component – hardener for pitch. 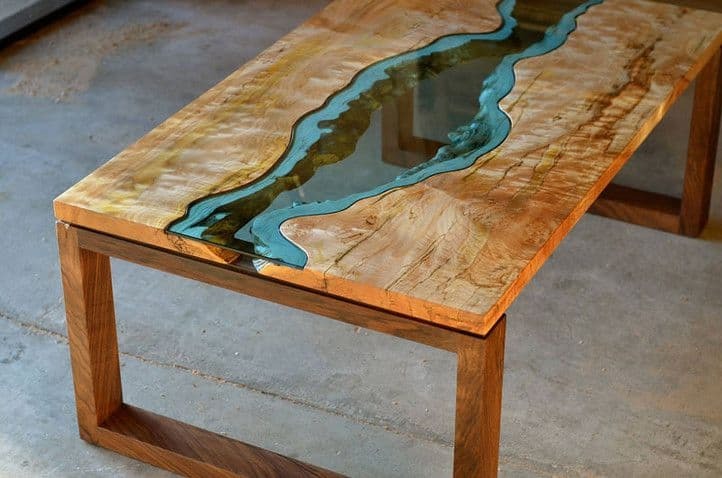 Epoxy resin has to be quality and has to be intended for the big area. It is not necessary to choose the cheapest epoxy resin. It is necessary to mix components strictly according to the instruction which has to be upon purchase of epoxy resin. After epoxy resin hardened, usually 24 hours for this purpose are necessary. Table-tops it is ready to further processing. 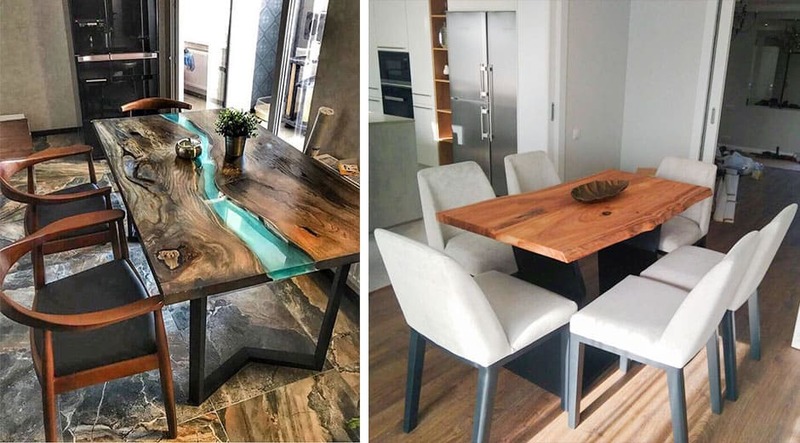 If you did not add dye and observed the instruction for mixing of components of epoxy resin, then at you completely transparent filling from epoxy resin without bubbles has to turn out. 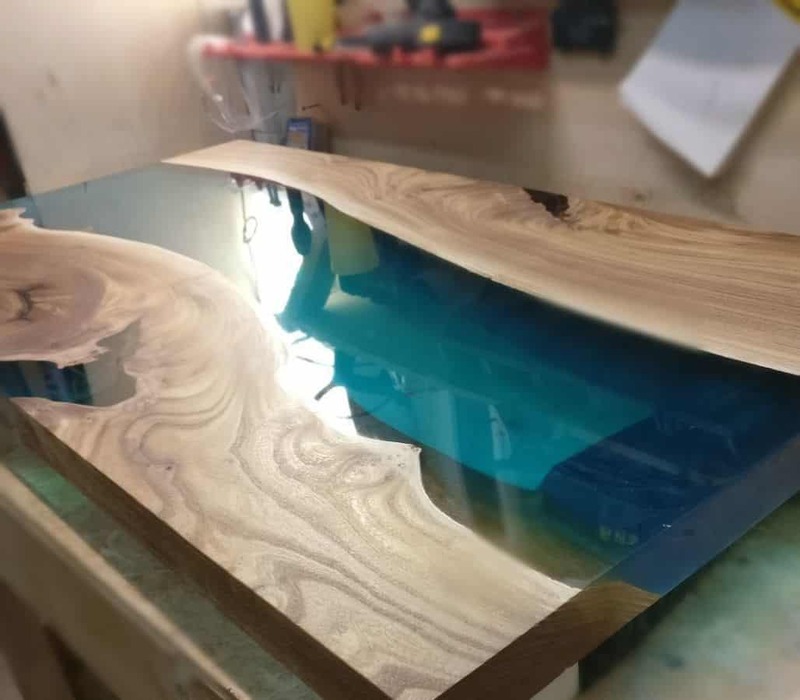 That dust and garbage did not get to places where you pour out epoxy resin, indoors there should not be a dust, it is impossible to fill in with epoxy resin a wooden table-top on the street. 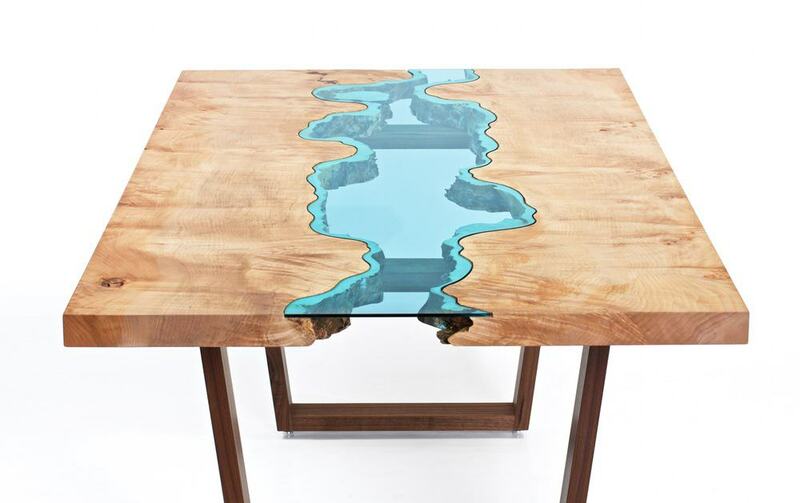 Accurately remove material which you enclosed in the lower part of a table-top that epoxy resin did not flow. 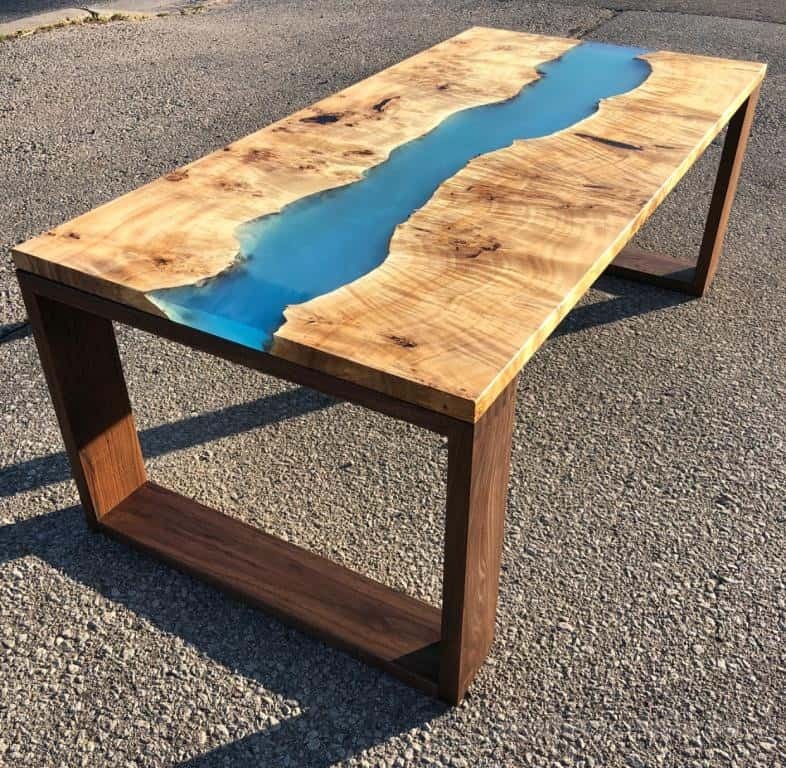 It is impossible to heat epoxy resin above 70 degrees Celsius. It is impossible to process epoxy resin rough abrasive paper. It is necessary to grind and polish epoxy resin manual tools with use of special paste for polishing. 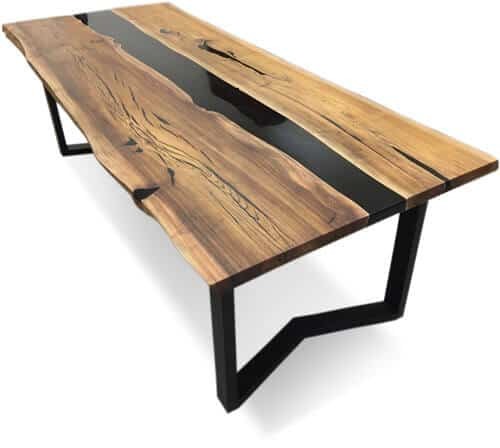 PreviousPrevious post:Production of our company will be presented in Cologne in 2019NextNext post:What size of dining table to choose?